A few years ago, it was unthinkable to run a company with the help of an app running on devices such as smartphones and the like. However, you can now control virtually anything due to the mobile application revolution that has taken place. In this new post, we want to introduce the best business apps for Android. They can prove very useful and you just have to keep on reading to profit from their existence. When you enter into Play Store to search for business apps for Android, the options available are far beyond counting. Rivalry within any given industry increases over the years. Most apps undergo updates from time to time to get improved. The goal behind any of them is clear: to obtain as many downloads as possible. While remaining within your business strategy, it’s necessary to establish a certain frame to keep the tasks that are being carried out under control. Any company — however small — will have employees in charge of manufacturing who must be allocated to different departments. Many company management applications for Android come as a product of such logistical requirements. Good-old Excel and its spreadsheets are no longer enough. We must now take a step further. There are many interesting apps allowing you to share information in real time within a company. It’s a useful and quick way get a company’s departments in communication with one another without having to move. Now we’d like to shortlist the best Android applications of this kind and have a look at them. Sharing all kinds of documents, making task-tracking lists, leaving comments to make the agenda known to our colleagues, and uploading files to the cloud… We must never forget that having an updated agenda is always a must if we want to organise our time properly. Meetings via video conference are becoming increasingly important — even essential. Along the same lines, being present in different social networks to establish a strategy that seeks growth is also becoming increasingly important. These are some of the options that you can download from the store. The following are the best business apps for Android. This tool has been developed by Google and is linked to Gmail as a complement. This product enables the user to store data in the cloud and create a community. You can create, edit, comment, share or consult documents of all kinds through this app. Files, images, music, videos, folders… The possibilities are endless and everything gets synchronised at the same time in any of the devices that you may generally be using. It can be accessed from any web browser and is quite simple to use. Simply type in Google Docs or upload to your space the files and documents you want to share. At this point, sharing them with a specific person in your community is just a click away. We can say that it’s similar to using a regular email account but much more flexible and fast. Messages arrive instantly. And shared documents and files do so as well. Its advantages are plenty when compared to a regular email account. For instance, any changes you make when editing a document on Google Drive are saved instantly. You will not have to download the information, edit it and then upload it, unlike what would happen with a regular email service like Gmail. Also, the information will not get lost if something wrong happens with any of your devices. In Google Drive, files are stored in the cloud and don’t disappear. This is the reason why it’s one of the best business applications for Android. 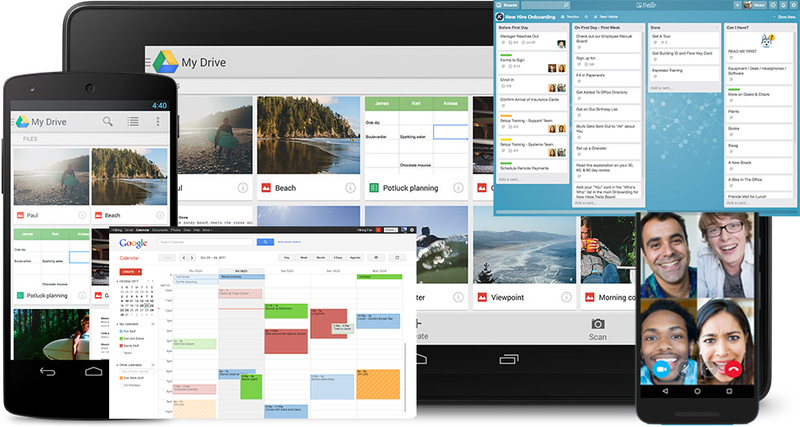 Google Drive may be one of the best business applications for Android and you must have it, but Trello is also essential for your company. It’s easy to use and you just need to sign up to start organising your tasks right away. Trello is used to carry out tasks in a certain order and to have the following under control at all times: what should be done, who should carry it out, and which are the next tasks to be done. Everything that is done while the application is being used is synchronised instantly and saved in the cloud associated with the devices that you regularly use. With this application, you can create a series of roosters to programme and structure any task. You may invite any colleagues to work with you side by side later on if those tasks are to be shared with more people. It’s a very useful tool when working in a team. 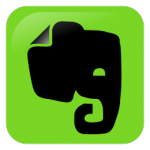 It’s a collaborative tool whose reviews are very good as an organiser and manager of team tasks. And it also stores contents. This app uses threads to store messages and get all parties involved in the development of a project or task. 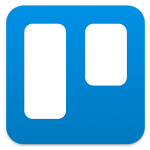 Likewise to Trello, this app enables you to organise tasks and to control at any moment what is being done or is yet to finish. They are both very useful applications and are very similar. Similarly to the two previous tools, Dropbox offers the possibility of storing contents in the cloud and of sharing them with your contacts instantly. This application is among the most famous ones of its kind and was the first one to offer document storage in the cloud. You may go after its free version, but such version allows only two gigs of storage. Such capacity may be expanded by paying a subscription fee. 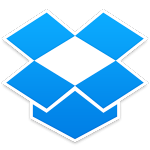 All files you save on Dropbox get backed up and can be accessed from any device on which the application is installed. Additionally, it enables sending large files, making it a very useful app. It defines itself as the tool you need to keep your work organised effortlessly. It may be used to write, collect or capture notes in different formats. Also to create task lists. It offers the possibility of synchronising the tasks on all your devices. It also enables sharing, commenting and collaborating with any other people you share a task with. This ensures that the process will be more productive. Nowadays, keeping everything in order is essential. Any company welcomes the possibility of having an updated and organised agenda. A company’s agenda generally includes face-to-face meetings, video conferences, project deliveries, and much more. Google offers this tool to get it all organised in an easier way. Just select a day, add a note with planned tasks and/or appointments, and it will be automatically saved in the cloud. On due time, you will be notified so that you don’t forget any corresponding appointments and/or tasks. It’s possibly the most widely used and known video conference tool. It enables you to hold meetings with people or companies that may be on the other side of the world. It’s always better to have a face-to-face conversation than to have it through the phone. Your image will convey proximity and professionalism, and communication will not seem so cold. 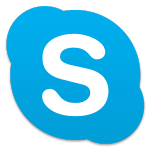 Skype is a very useful tool for any business that is growing and taking advantage of it is as simple as downloading the app and having a good internet connection. 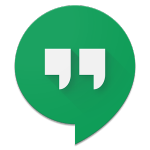 As with Drive, Google has a video conference tool called Hangouts that can be very useful. But unlike Skype, not everyone can use it. As we have been saying, this tool proves useful if you cannot be physically present at a meeting or if you want to have a face-to-face conversation with someone on a serious topic. Of course, to be able to use Hangouts it’s necessary to have a Gmail account and not everyone satisfies this requirement. It’s the main existing app for managing social networks, making it one of the most used tools worldwide. It allows managing several networks and can link Twitter, Facebook and LinkedIn profiles together at the same time. It enables posts to be published instantly and simultaneously on all the networks mentioned above, and also offers the option of scheduling their publication. 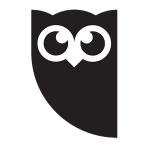 If your company has a profile on several social networks, Hootsuite is an essential app. Well, these were some of the best business apps for Android to be found on Play Store. Most of them can be very useful for your company and to consider their use is advisable if you haven’t tried them yet. In addition, you may have some new ideas on your own corporate app. You are in the right place if this is the case and if you believe in developing a new exclusive management app for your company. At Yeeply we can help you achieve its creation.